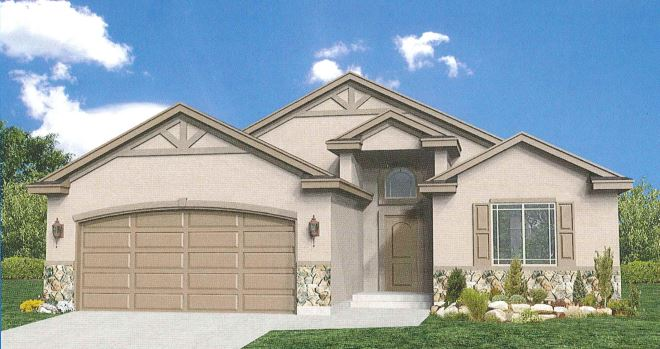 Families looking for open sprawling spaces will love the roominess of The Keaton floor plan. The home is 2706 sq. ft and includes all the features and amenities you would expect in a modern home. The 3 bedrooms, family room, nook, and 2 car garage that are large enough to comfortably accommodate a large family, and the master bedroom has multiple bath options to fit different preferences. The rooms in the Keaton floor plan are conveniently placed to make the most of every inch of space, giving the home a nice livable feel. The family room has an option for a fireplace, and the kitchen can be fitted with a kitchen bar if preferred. It is designs like this that make Hallmark Homes the leading home designer and builder in the business.